Could not have said it better myself, Ms. Phillips. Small business owners, listen up: if you won’t take my word for it, how about taking the word of the US Attorney for Missouri? Law enforcement is often left to clean up the mess caused by small business fraud. They see what needs to be done to stop it from happening in the first place. Maybe you should listen! The perpetrator in this scheme, Kim Brown, plead guilty to stealing $718,167 from her employer, Standard Sheet Metal, over a seven-year period. Again, this was not a particularly complex scheme. 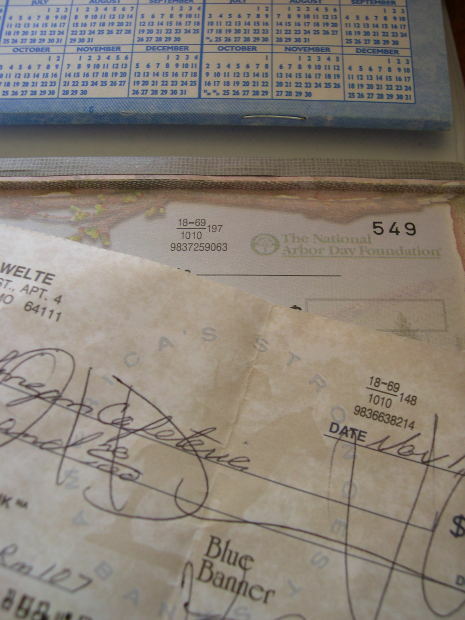 Brown wrote “at least” 474 checks from her employer’s bank account and deposited them in her personal account. That’s all she wrote (pun intended), and now the employer is left with a huge loss that will likely never be recovered. Brown was a trusted employee. From 1998 to 2009, she had been promoted from receptionist to accounting and bookkeeping. What a kick in the gut! The company gives her more responsibility, and presumably a bigger salary, and she commits fraud in return. Note: Notice that the bank did not stop this from happening. As I have said before, never rely on your bank to stop embezzlement. Maybe now is the time to proactively address fraud within your company? You’ve got the backing of the US Attorney to do so. Let me guess, she not only kept the books and dispursed the accounts payable checks, she also reconciled the bank accounts? Both large and small companies do not practice good SOD in bank account reconciliation. It’s not a fun job so it’s left to the person who most likely is closest to the work and also the one that may be committing fraud! That is correct, she handled it all. Miss Brown was a professional with a plan from day one, she played the part of a team player and friend to the owners. Her family helped her laundry the money and live the highlife. Siblings and her had a history with similar fraud. Warning signs were everywhere but no one picked it up.